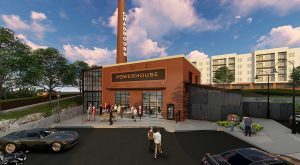 Cline Design has partnered with White Point Partners to assist in the redevelopment of the Chadbourn Hoisery Mill, located at 451 Jordan Place in Charlotte’s “NoDa” district. The historic mill, originally built in the 1930s, will be turned into a 40,000 square foot office space, along with a 200-unit apartment building facing North Davidson St. adjacent to the site. Originally expected be transformed into retail space, White Point Partners said the high demand for fast-growing companies seeking converted warehouse space along the light rail has risen, changing their mind.